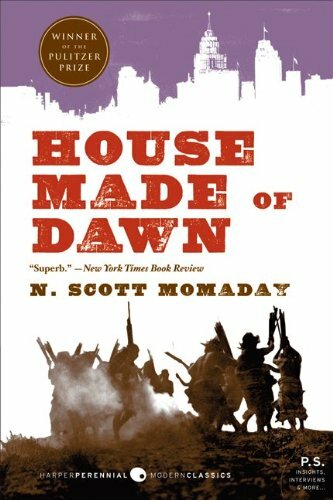 'House Made of Dawn' tells the story of a young American Indian named Abel, home from a foreign war and caught between two worlds: one his father's, wedding him to the rhythm of the seasons and the harsh beauty of the land; the other of industrial America, goading him into a compulsive cycle of dissipation and disgust. Native American and a writer, Momaday finds two sources of identity the land and the language. The former gives strength to the American Indian, whose sense of identification comes from a closeness to the land. The latter connects humankind to ourselves and our world. "Man's idea of himself" finds "old and essential being in language," Momaday has written. Acts of naming, of remembering these are "legendary as well as historical, personal as well as cultural."